A fab mix of 6 Glitter Gel Pens, perfect for adding a bit of shimmer and sparkle to your drawings and lettering. A fab mix of 6 Glitter Gel Pens, perfect for adding a bit of shimmer and sparkle to your drawings and lettering. Each gel pen has been designed to deliver a smooth even flow. 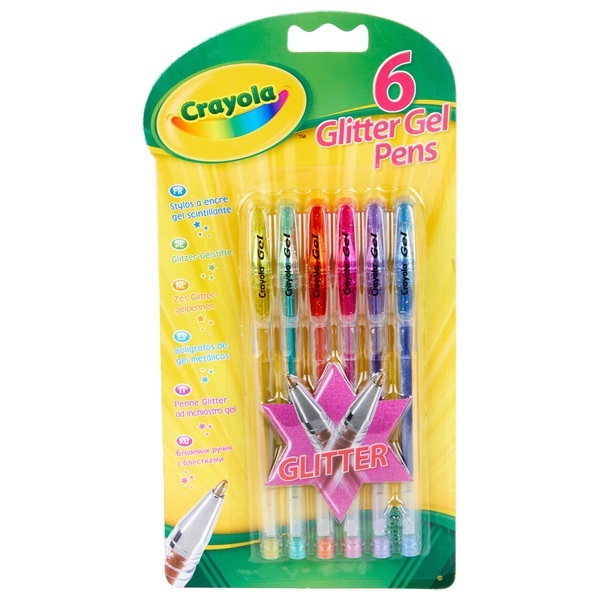 Crayola's Glitter Gel Pens come in 6 glittering colours: gold, green, orange, pink, purple and blue.